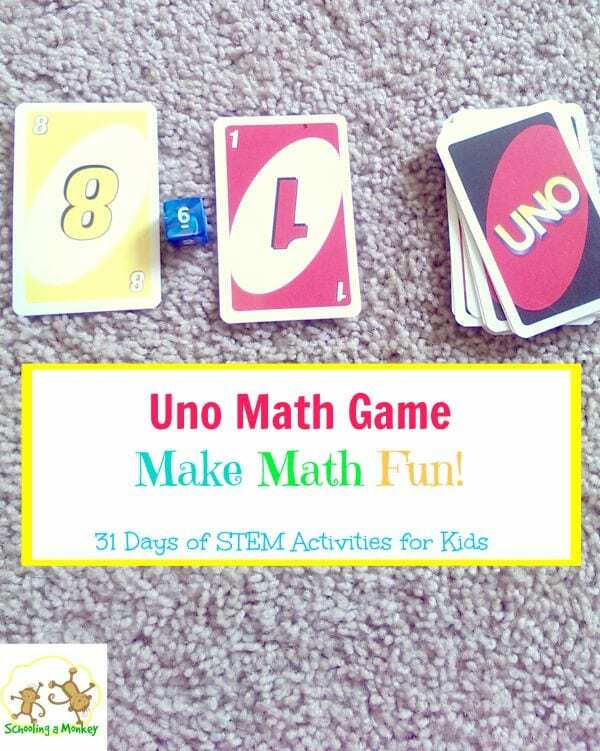 When it comes to STEM activities for kids, we are always looking for fun hands-on ways to learn about math! 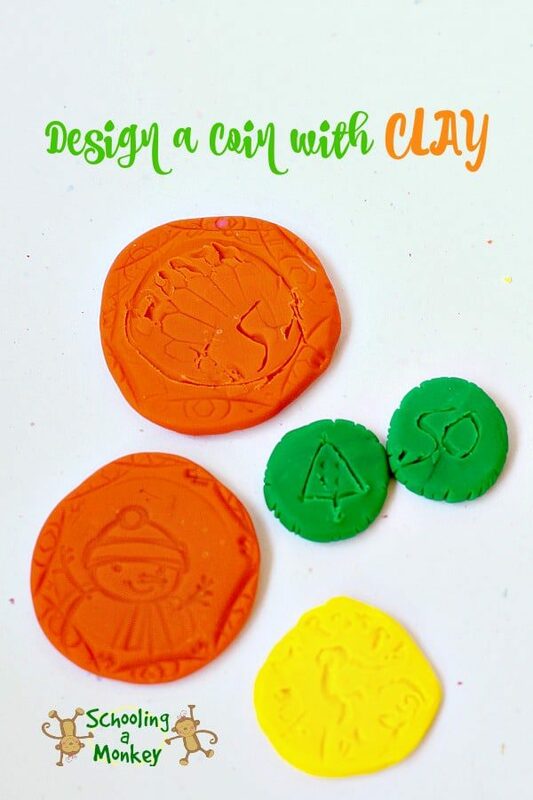 In today’s project, we design a coin from clay. 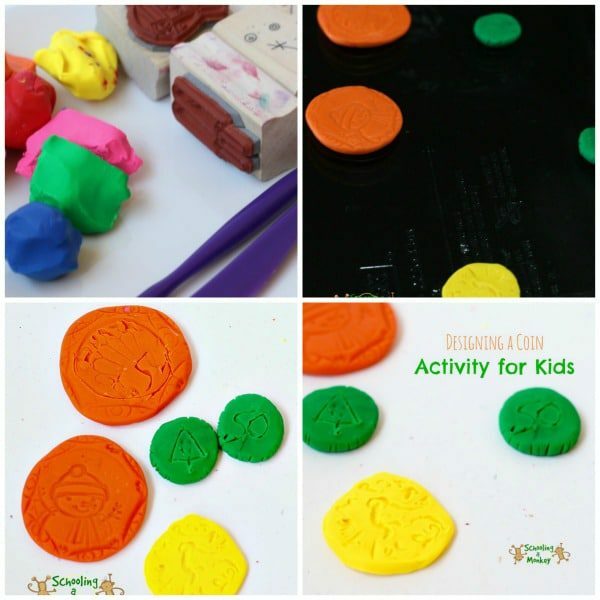 We used this activity in a thematic unit on coins! 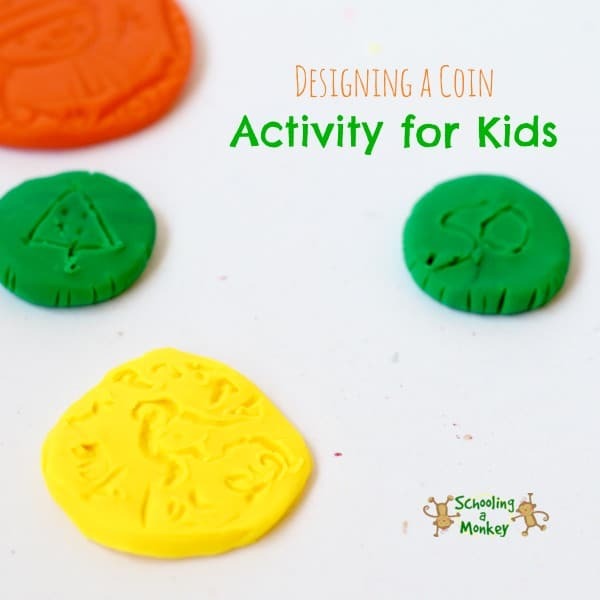 For this activity to design a coin, we wanted to know why coins look like they do. Before starting our own design a coin project, we talked a bit about what is on money and why. Coins traditionally are decorated with the face of important political figures of that country (in the Untied States it is mainly presidents who adorn coins). This is a simple way to indicate what country the money is from. All coins are also stamped with other country-specific images, such as slogans, flags, and important landmarks. In the United States, the tradition of adding ridges to the outside edges of coins was implemented to prevent people from shaving the coins to collect the gold and silver they were made from originally. When U.S. money was first invented, coins were worth their weight in gold or silver. We found most of our coin facts from The History Channel. if you are short on time). Decide on a monetary value: We discussed what we wanted our currencies to be and the size and color each coin should be. Monkey decided we needed a coin worth 100 cents, five dollars, and 50 cents. The orange coins are worth $5, the ellow coin was worth 100 cents, and the small green coins were worth 50 cents. Monkey thought that in today’s world, smaller denominations were not important. 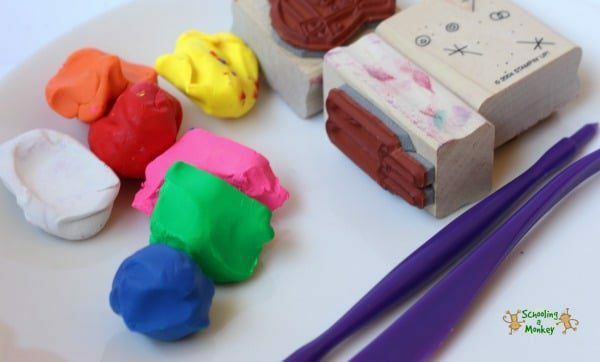 Make the coins: Roll your clay into a ball and smash it with your thumb to make a coin shape about 1/4 of an inch thick. Bake: Bake your clay according to your package directions. We had to bake ours for 15 minutes at 275 degrees. Allow the money to cool before playing with it. 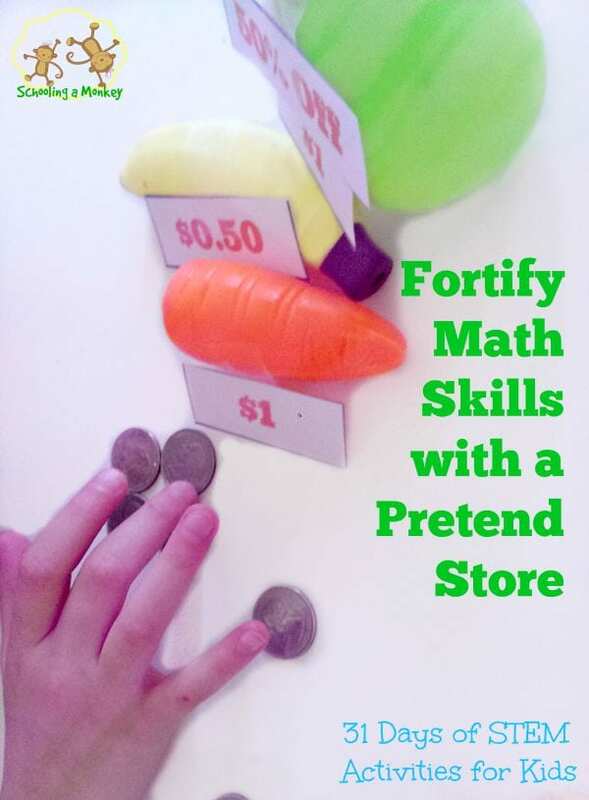 Play: After your coins are ready, use them in all sorts of math-related fun! 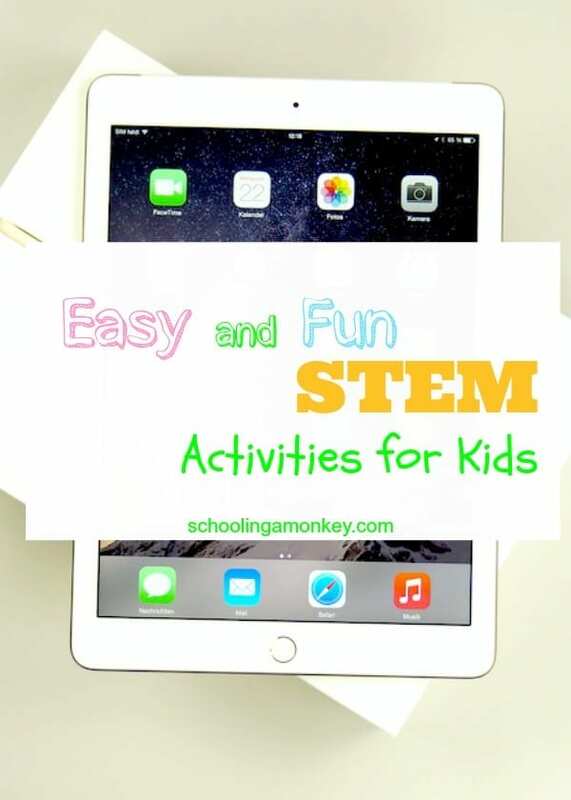 We used ours in a play store (click here to get a free play store printable!) 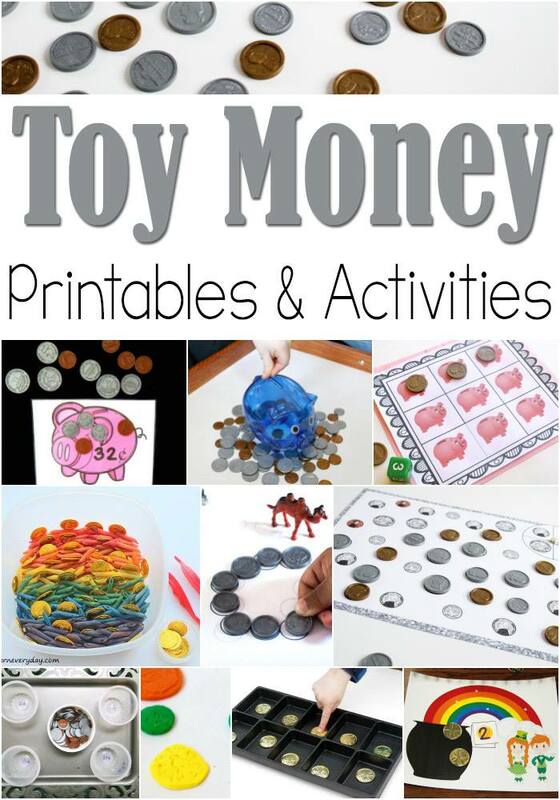 and to learn about money in a fun hands-on way during math lessons.